Portability, also known as licensure endorsement, is what allows a person with a license in one state to be recognized to practice in another. Why is a uniform licensure endorsement process important? It allows Counseling Professionals to practice in new states when relocating or work in nearby states. It assures there is significantly increased public access to qualified care. It establishes minimum standards for safe practice. It creates consistency in licensure standards across state lines. It ensures protection of the public and the continued development of the profession. Is this a proposal or will states be using this new process? 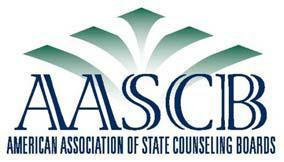 The National Counselor Licensure Endorsement Process proposed in November 2018 by four organizations—the American Association of State Counseling Boards (AASCB), the Association for Counselor Education and Supervision (ACES), the American Mental Health Counselors Association (AMHCA) and the National Board for Certified Counselors (NBCC)—is not yet a new law. It is a proposal that will be presented to licensing boards as a service to Professional Counselors across the United States for consideration over the next few months and years. It is ultimately up to each state to determine if it would like to adopt the proposal. The 2018 NCLEP proposal replaces a similar document that the 4 organizations developed in 2017. The newer version lay out additional pathways for mental health counselors to achieve portability. Is this proposal different from others in the past? This proposal is the result of a groundbreaking, long-planned collaborative of four major professional counseling organizations and as such has a better chance of approval by state licensing agencies. In fact, because the organization representing state licensing boards, AASCB, was part of the proposal to create this plan, there has been input to formulate a proposal that will, in particular, address concerns that licensing boards have expressed in the past. For example, this proposal would require that counselors who seek licensure in another state possess the highest level of counselor licensure for independent practice, with no disciplinary sanctions, for at least three years from the date of application for licensure endorsement. Some state licensing boards have previously expressed concerns about proposals that fail to require past experience. What makes this proposal important? Having the leading organizations representing the counselor licensing boards, counselor educators, mental health counselors and board certified counselors jointly agree to a collaborative portability process creates a way for states to pave a path forward for highly qualified current and future counselors to improve client access to services. This proposal represents the best chance to accomplish this crucial need for quality services around the country. The four organizations were able to capitalize upon their knowledge of the history of state regulatory standards in crafting this proposal. This proposal also will move the profession toward the future goal of unified education standards, examination requirements and years of postgraduate experience. The four organizations, whose membership includes professional mental health counselors, counselor educators, 37 licensure boards speak for licensed counselors in every state. What happens next to move the approval process forward? The four organizations proposing the National Counselor Licensure Endorsement Process 2.0 will work through their advocacy arms and/or government affairs departments—and with the assistance of counselors willing to lend their time and support—to encourage state licensing boards and legislative bodies to adopt the proposal. The four organizations have already approved two presentations to large meetings of licensure boards. This is a high priority of all four organizations. How quickly might states adopt the endorsement process? There is no way to determine when an individual state will adopt the National Counselor Licensure Endorsement Process. Each state must independently take this step; there is no national implementation process possible by the federal government. The adoption process may require new legislation or regulations—each state has its own rules governing licensing board regulations—and this takes time and organization. How can I stay abreast of the approval process? NBCC will provide regular updates and news about the National Counselor Licensure Endorsement Process through its new monthly newsletter, NBCC Visions, as well as on the NBCC website, and the NBCC Facebook page. News may occasionally also be disseminated through e-mail to board certified NCCs. How can I help efforts to support the National Counselor Licensure Endorsement Process? Counselors interested in contributing to efforts on behalf of this proposal should contact their state licensing board and encourage adoption of the National Counselor Licensure Endorsement Process.